Halloween is known in Paraguay as The Day of the Witch or El Dia de la Bruja. Appropriately so, my women’s club – who prefer to be called the Witches Club (club de brujas)- met today for a little mischief-making. Rumor got around that yours truly, Bruja Wendia, was wearing true witch’s gear – a green face, black dress, heels, and giant hat – which brought all the kids and the school principal out of class to spy on us through the windows. haha! FUN TIMES! Senoras who came out to have some Halloween fun. It was “BYOB”: bring your own broom! Earlier in the day I’d been invited to make breakfast with a senora across the street. She was determined to teach me to make mbeju, a classic Paraguayan recipe, before I left. Never had making breakfast been so much fun. 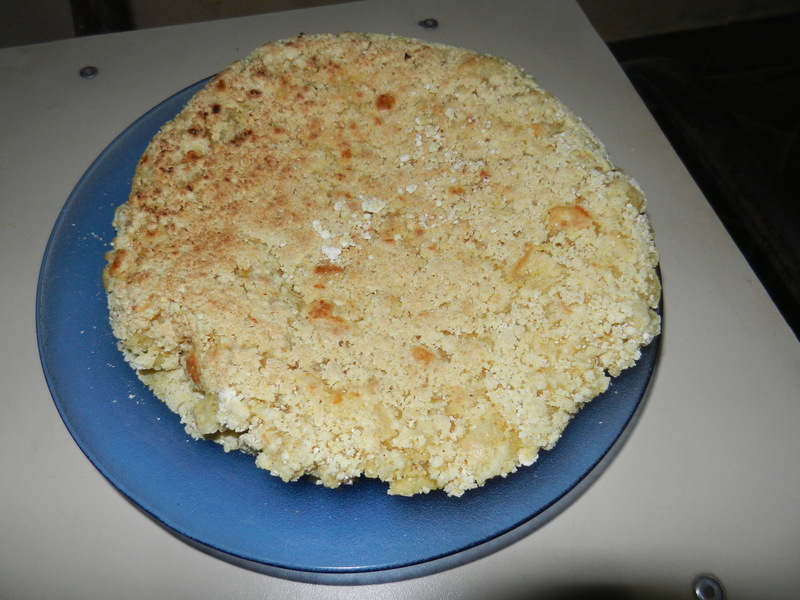 We started by putting the carbs together: mandioca starch (called almidon de mandioca) plus some frozen cornmeal I brought from home. The cornmeal had chunks that required a hammer to break, which was pretty hilarious pounding away at the bag at the crack of dawn. Add butter, sunflower oil, warm milk, and a bit o’ salt and mix with the HANDS. When I reached for a spoon to stir it the senora acted as if I’d committed a felony of some sort. Didn’t I know that the dough is mixed ONLY with the HANDS? We laughed and she retreated to the backyard to prepare the fire. When she returned I was playfully chastised for being slow. I called it being ‘thorough’. Her sister appeared from next door at this time and I said “My teacher is angry. I’m not fast enough.” Not only did we all laugh, they seemed to think it was the best joke ever. Pounding out the frozen chunks in the cornmeal. I think I woke the neighborhood. Mixing mbeju dough by hand. It requires a lot of squeezing to distribute the moisture throughout the fairly dry dough. Once the dough, or masa, was ready we made our way to the fogon in the backyard. A fogon is like a brick cookstove, usually with a cook top and an oven. She produced 2 frying pans and we loaded the dough in each. Essentially, the dough inside congeals to the consistency of a gumdrop and when it becomes golden brown underneath you flip it like a pancake. Here is the senora demonstrating for me (and repeating multiple times to ensure I got a good photo – haha!) then I took my turn. Because we were cooking over an open fire, the timing is sensitive. Here I am flipping mid-bite because when it’s time to flip and you have an ‘angry teacher’, you flip. Just for the record, my teacher was everything BUT angry but she loved when I called her that. Clever contraption for working with cows. This senora uses mostly for milking cows in the morning as she can load the cow in and tie her up then sit outside the fence on the right and reach through the open space to the udder. Also works great for vaccines and other veterinary procedures. It took 2 hours to make 6 mbeju ‘pancakes’, start to finish, two of which she gave me to take home. Early in my service, a senora once said to me “It is good to work for your food.” I’ve always believed that to be satisfyingly true.